You’ve just been told that the next big business decision is to take your company global online. Now, as exciting as this may sound, it’s also pretty daunting. So, what do you do next? Decide that France is nice this time of year and book the next flight to Paris to lap up some French culture? Well, as nice as that would be, it probably wouldn’t impress your boss as much as doing some smart research to identify which market to tackle first. 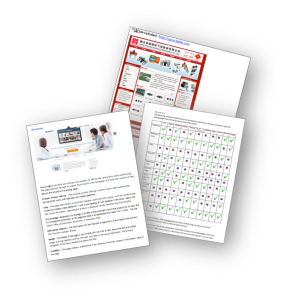 There are so many ways to start this process, so here are our top six tools and tips to help you on your way. 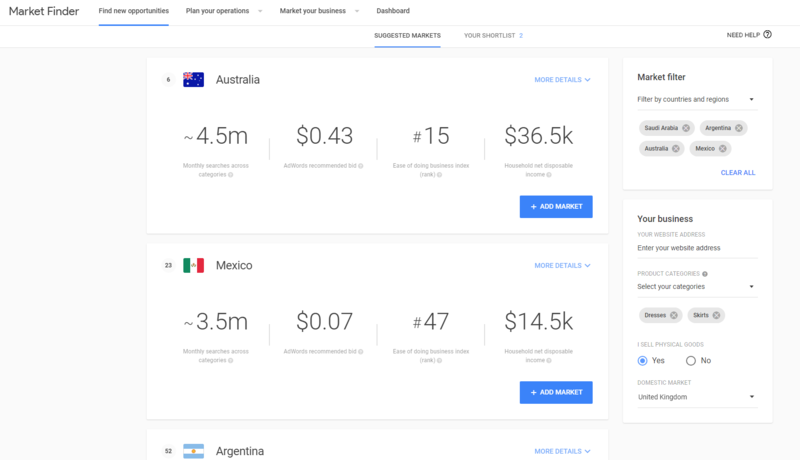 One of the easiest and quickest tools you can use to decide where to take your business next is Google’s Global Market Finder. Global Market Finder allows you to view opportunities in a number of different regions such as the G20 countries, Asia, Emerging Markets and Europe. When you enter the URL of your website, the tool will automatically transfer the categories of the products you sell or services you provide up to a maximum of 5, and you can enter a group of your keywords. Market Finder then recommends a list of potential markets for your business to expand into, based on a number of factors, including monthly search volumes, AdWords cost-per-click and household disposable income. 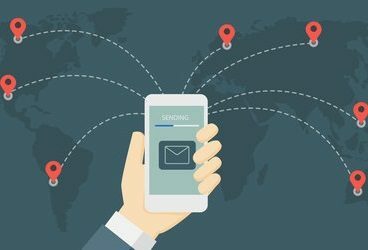 If you have an account you can shortlist up to three countries and more information is available, including languages spoken in that country or buying behavior. As an example below, if we are a UK-based company, selling in English with a keyword list that includes dresses, and skirts, and we are looking for new opportunities in G20 countries, it might be surprising to find that Mexico offers quite a big opportunity. Although this tool is great for shortlisting markets to explore further, it is important to note that the translations of the words are done by machine algorithm, and should always be rigorously checked by a native speaker from the target country before implementing in a campaign. You can see the translations the tool is using by clicking on the ‘+’ so these can be checked with a native speaker. The tool also doesn’t consider factors such as why there is no competition. For example, your product or service may be freely available via a government scheme. Another handy Google toolbox comes in the form of the Consumer Barometer. The Consumer barometer is actually four tools in one which helps you to understand how people in different countries interact with the internet. In the Graph Builder, you can build a picture of how people use the internet in your target countries. 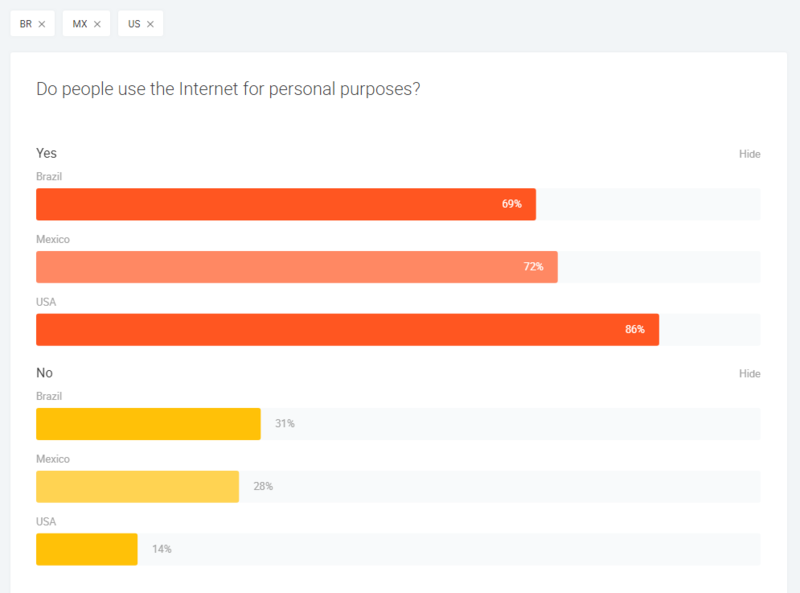 If we use the example above and drill into the top three opportunities, we can see that almost half of people in Brazil don’t use the internet for personal purposes, which reduces the size of the opportunity in Brazil. Each of the questions provides additional insights, such as what people in your target market are doing online, on what devices, and how frequently. You can add in your target demographic for example females aged 25-34 to refine further. 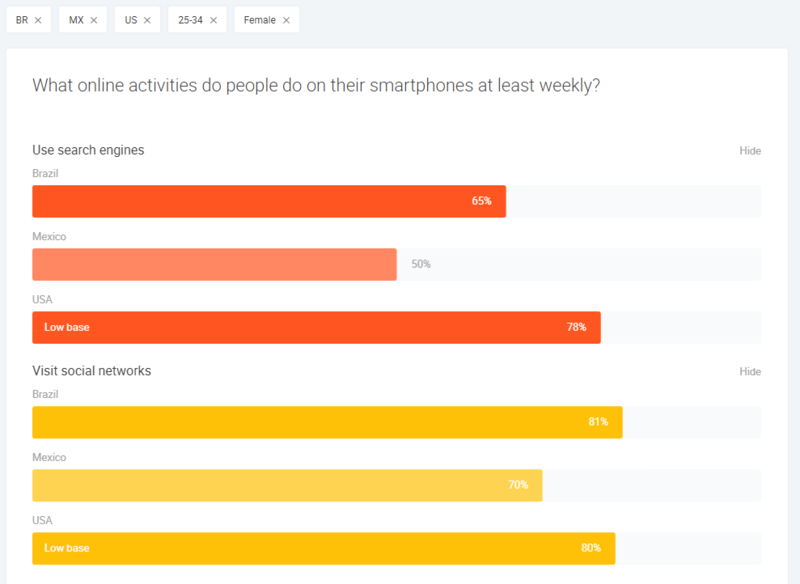 In our example, we can see that 65% of females aged 25-34 in Brazil use their smartphones to use search engines on a weekly basis. There are three other tools within the Consumer Barometer suite (Trended Data, Audience Stories, and Curated Insights), but the Graph Builder does offer more granular information. Consumer Barometer is a really great tool to have a play with and get some understanding of the behaviors of your potential consumers in other countries. Alexa ranks websites on traffic rather than SERP results, meaning you can see a better picture of which are the most popular sites in markets you are thinking of entering. Going back to our example, we have now decided that Brazil probably isn’t the right market for entry but identified Mexico as an option. If we now use Alexa to “Browse Top Sites” in Mexico, we can see in terms of traffic the top 500 sites in that market. Ranking very highly in Mexico are social media platforms, which could indicate that if your products or service lends itself well to social advertising, you could have a good fit here. Similar Web takes your learnings from Alexa and embellishes it even more. Like Alexa, Similar Web can also help you investigate your competitors in the market you are thinking of entering. By typing in their domains you will be able to see where they rank globally, and the country in which the domain is ranked highest. If we try a different approach with our examples this time and look at a B2B company in a different market. How about a company that wants to start selling CRM software in France? A quick look at the market shows that global giants Sage and Salesforce are dominating the space, so let’s have a dig into www.sage.fr. 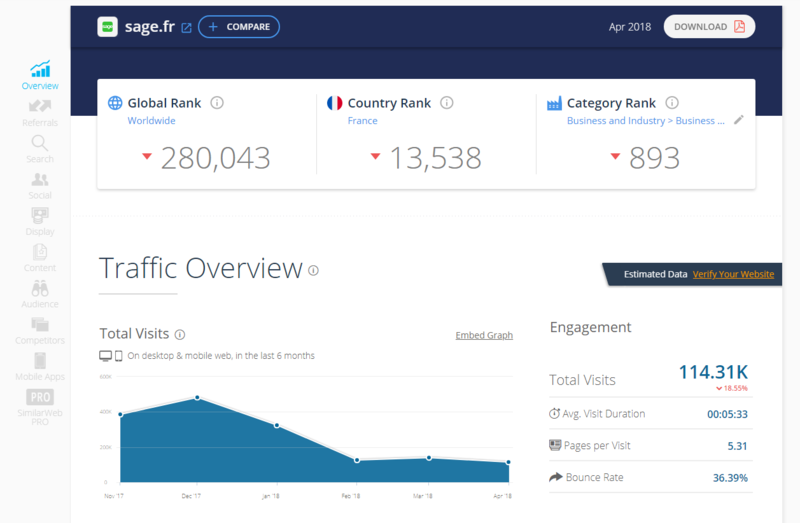 Here we see that globally they are ranked 280,043rd and in France, they are the 13,538th most visited website. By entering a number of potential competitors you will be able to build a picture of the online landscape in your niche. Think of Similar Web as having access to all of your competitors’ analytics data – pretty handy, right? And what’s more, you can also compare mobile apps too. 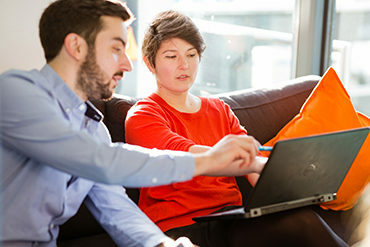 If we stick with the above example and look at sage.fr as our competitor, we can see more interesting engagement metrics such as time on site, page views, bounce rates, traffic sources for the last three months, where referrals are coming from, the split between organic and paid search and where traffic from social media is coming from. All of these metrics can be used to build a comprehensive plan to tackle the new international market. Don’t forget the quickest and easiest way to investigate the online competition in your market: simply doing some searches. 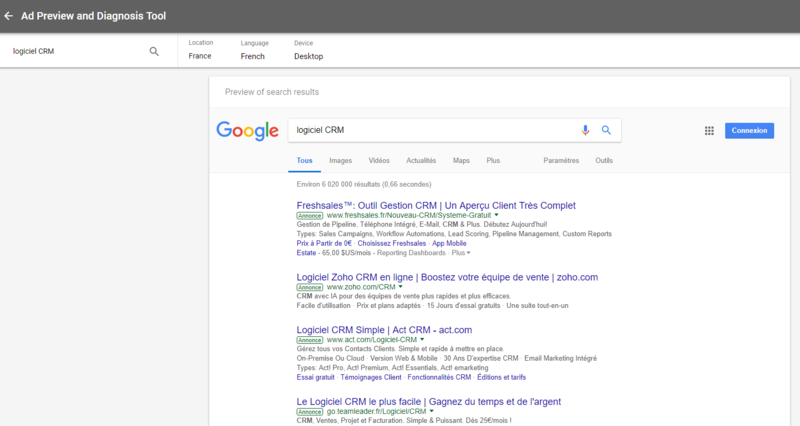 If we continue with the B2B example and want to see what the competition is like in France for “CRM software” (“logiciel CRM” in French), using google.fr we can see who ranks highest and who is investing in PPC in that market. In order to force the page to react as if you were a user in that market, and be served ads as well, we can use Google’s Ad Preview Tool. Here you can specify the location you want to mimic when searching, which Google domain to use, as well as the language and which device type you are using. 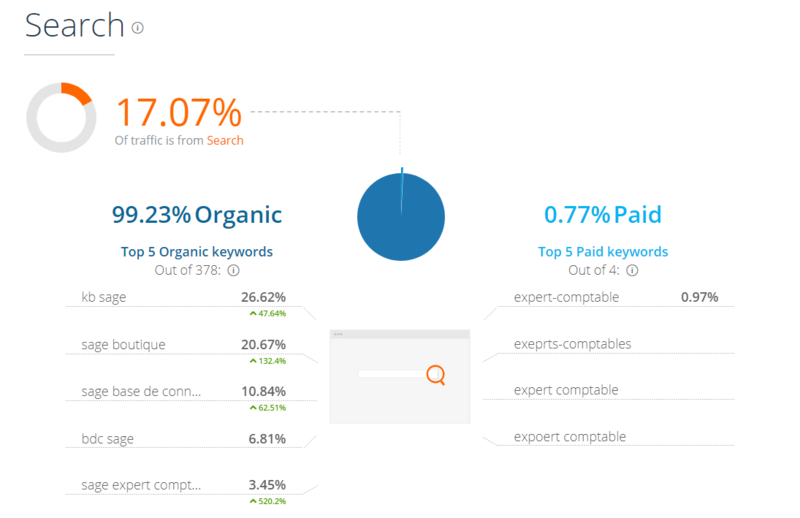 The SERP below shows that PPC ads are very prominent in France, which suggests that a well-optimised paid search campaign could be a good way to introduce your brand to the market. Looking at the companies that are ranking in the highest position, and their domain structures, will also give you an indication of how to structure your own site when entering the market. For example, if all of the top sites are using a country code top-level domain (ccTLD) e.g. www.example.fr, this could indicate that buyers in that market only trust a domain that is dedicated to their region. 6. Call in the experts! No matter how much searching around and analyzing online trends, behaviors, and competitors, nothing compares to getting real-life insight from native linguists who understand the culture of the market better than anyone. 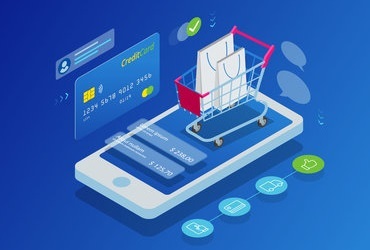 A thorough study will provide an analysis of target keywords, who your real competitors are, what offers they are displaying, what techniques they are using on landing pages, their pricing (via secret shopping if required) and estimates of the cost to compete. The study should provide you with data-driven recommendations, and initial projections of return on investment for each market you are considering entering. If you are looking to enter a new market and need help with what to do next, please contact us and we will be happy to help. You can continue your global journey with our next installment on how to pick your international domain structure.